This is a guest post by Stephanie Suesan Smith, an avid woodworking blogger who pays attention to advice I share. She recognized an email she received from Highland Woodworking as a real life example of the importance of reputation management for small businesses. Stephanie knows from me that negative reviews can seriously affect sales. That was very easy to see in Yahoo! Stores because they provide graphs of sales and have had public reviews for a very long time. When a negative review was near the top, sales took a definite dip and stayed that way until positive reviews pushed them down. Unfortunately for even good businesses, negative reviews put a damper on getting positive reviews so they stay on top much longer. This business was correct to be proactive even though they may experience some judgment from customers who do not understand how not taking action would affect their business. For a business, reviews are a double edged sword. Good reviews give people confidence in your business and make them feel more comfortable dealing with you. Bad reviews, however, can really hurt your business. This is especially true if most of what you do is mail order, where the customer places an order on your website or over the telephone and buys your product without holding it in their hand. Well, there are a couple of different ways to do that. The ostrich approach is to hope they drop off the review page pretty quickly so they do not scare customers away. However, since most people do not review a business, that bad review can be on the front page of your Google Places for a long time with this approach. “Negative feedback provides credibility and tells customers the business is confident enough to show a range of customer feedback. Nobody is perfect, and the same holds true for businesses. Honest feedback and suggestions for improvement can even improve your business (IF you are eager to fix the issue).” ~ Quote from Goodcopy for Good Marketing: Positive Side of Negative Reviews. The best way to deal with this is the proactive approach. Do something to entice your satisfied clients to leave positive reviews so the negative review gets buried. A good example of this is the approach taken by Highland Woodworking when they got a negative review from a customer. 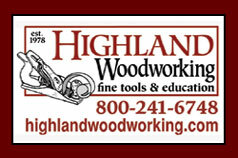 Highland Woodworking serves dedicated hobbyists all over the world in search of specific tools and hardware to pursue their hobby. I get their catalog and am on their emailing list. I recently received an email blast from Chris Bagby, the CEO of Highland Woodworking explaining how hard they worked to serve their customers. Bagby went on to say that every business occasionally has dissatisfied customers, despite their best efforts. One such customer had become abusive and had been turned away when it because apparent they could not satisfy him and he was putting their staff at risk. In retaliation, the individual had written bad reviews on Google Places and elsewhere. Bagby gave a link to the complaint, which he had answered. He also gave a link to the page for reviewing his business and invited satisfied customers to review the business so others would have a more balanced view of it. When I checked, there were 36 pages of positive reviews that had been added the day the email blast went out. The bad review is buried on page 37 or 38. While I have no way of judging the facts of the complaint, or the facts as given by Mr. Bagby, I have to admire the way he handled the problem. Instead of the ostrich approach, which has caused so many businesses so many problems, Bagby faced things head on, explained his side of the problem, and asked his customers to help out. This further engaged his customers and helped them feel connected to the business in a way they might not have felt otherwise. Be proactive in your business. Connect with customers. If you receive a complaint, do your best to work it out. If that isn’t possible, make sure your customers know what you did to make things right. Doing the right thing isn’t just a moral imperative, it is good business. So I guess the only way to get these reviews taken off is by approaching the Third Party sites. The big advantage here is that Google shows where the review is coming from. So once again its in the third party domain, which means your threats, bribing, asking and pleading thrid party sites to take off negative reviews, may, just may change those. Great advice… I usually try to get those reviews (i) get a rebuttal out as quickly as possible, and (ii) get that negative review pushed down. They’ve handled this really well. Good job. I don’t really trust all the bad reviews that I see about companies since I’ve had a chance to meet some of those annoying people who are persistent in their annoyance so much, that they take time to post bad reviews everywhere. I read the review and browse it for FACTS about why the service or the company were bad. To be honest, I do the same for the good reviews as well. Feedback on the things you have worked on would greatly affect your improvement – especially your relationship with other individuals. Sometimes it will provide motivation to work harder and do things much better. Thanks for this post; i know everyone can relate to this. There will be loads of people who will say good as well as bad about you. It is on you how you handle them. If you are happy with it and the bulk of your readers are happy with it that’s all you really need to know. But you need to know what you have written is good, not just think or believe that it is good. As business owners we should look on the positive side of any negative reviews given to our company. Bad reviews let us know our business’ weak side. So when you receive a negative reviews do not take it personally or emotionally, try to listen to your customer’s view about your business. Handle it professionally and don’t be too defensive. This is your opportunity to work your charm by just being honest. If you think it’s negative review, say that you think it’s a fake review. Point out the number of positive reviews on your site, which should raise a red flag regarding the bad review anyway, and discuss any other conflicts. I think the best way to combat negative reviews is to actually face it. There’s an option on Google Places that will let you reply to the reviews. Your reply will definitely make or destroy your reputation. I’ve seen a company who did that and it was pretty appealing. They handled the negative review pretty well. the positive meaning of it. I agree with Sanjay, do your best to work it out. There is no service or product without a few bad reviews, that’s the way things go. One bad review doesn’t really hurt you if you also have a couple good reviews around. The real problem is not getting that rumor expand. If they do maybe they are true and you should listen to them. Also there is a difference between hateful reviews and bad reviews (but constructive, you can learn a lot of them). I gain a lot of experience in online field. whenever i read such fake reviews than i will try to leave it and write a comment below that its not authentic and ask some questions regarding on which topic they write about. You seem to put more value to your blog post, great points. yes. good reviews are important. especially on internet marketing. In my opinion , sometime negative review is not really a disappointment, it can be the way to show our weakness and help to improve our business in the future. Like you said above , nobody is perfect and it is also true in the business. So we should think positive in negative review. Agree with you Ryan! It is an indicator of letting know your weaknesses, if you are getting negative reviews, don’t worry try to work on your service & site better. That’s why it is always much better to build a good rapport with your customers. Although there are times that businessmen do not meet the expectations of the customers, these mistakes can be forgiven if they have already built a good relationship. Yes, most of the customers had positive experiences and were willing to help out with a review. Had they not had that relationship with their customers, it might have turned out differently. I agree that a company should be proactive and make sure to take all necessary steps in meeting the customers’ needs as well as sorting out any eventual problems that might have occurred. Having an unsatisfied customer brings negative commercial…if the customer won’t be spreading the word about the company in a positive way, there will be less and less customers for the business. Of course, there is no perfect unique opinion, so even with the best product, negative reviews might pop out. It is up to the customer then who is reading the review to determine whether the previous client had too high expectations about the company or is just not generous with the review for some personal reason. Sometimes customers are not terribly internet savvy and might think a review is gospel. This is why positive reviews that push the negative review off the first page are important. 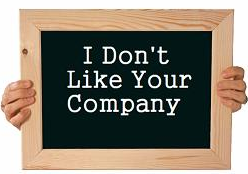 I know the case when competitors just killed companies by blasting negative reviews. In this case you can do nothing in fact about it. I agree with you that every complaint and bad review should be dealt with. 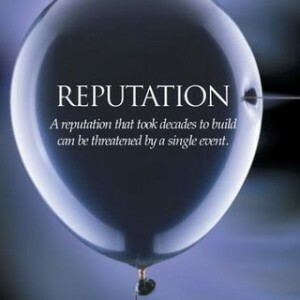 It is sad but if someone was really set on destroying your companies image, there is very little we can do to prevent it. It is impossible to satisfy every customer, and sometimes customers will feel the need to announce their dissatisfaction to the world. I don’t think internet users will be able to ignore negative reviews, these bad reviews I feel, certainly affects the readers in someways and the reader responds based on these reviews most of the time. For instance, many people rely on reviews in order to make online purchases. How can one knows his mistake if there is none to act as a critic? Just take negative comments as a way for you to improve things. Client works like an advertisement agency.Its positive review can give your business a new life and negative review can spoil your business. I personally also pay more attention to bad reviews. I don’t know why. Maybe it works if you give the customers who are not satisfied a voucher or some additional free stuff as an appology. If someone is not satisfied you have the chance to show that you care about your customers. It is possible that a not satisfied customer turns into a very satisfied customer. Everyone pays more attention to negative reviews. That is why it is helpful to have so many positive reviews to counter balance it. Stephanie Suesan Smith would love you to read ..Manure or Compost? Great post and advice. Now a days everything is online and it is really easy to have someone throw up a negative review. It happens but if you have a game plan to try and prevent it things go a little easier. Also, a game plan if it happens is a good idea. There are good tips up here and thanks for the post. I took the time to go several pages deep into the reviews. While on one hand this approach did seem to bring out many positive reviews it also brought out quite a few trolls. Yes, it did. But their ranking was something like 4.7 out of 5 when I checked, and that is pretty good. This approach also offended some of the customers. No one swore off buying from them, but the view was that it was in somewhat bad taste. However, most woodworkers do not know how one negative review can drag down a business in the search engines and really cause them a problem. Stephanie Suesan Smith would love you to read ..What Pesticide Do I Use? A rational negative review gives you the chance to show how responsive you are to your customers. When dealing with a nutcase, however, it is often impossible to please them and dangerous to engage them further. So a business is stuck, there, unless you do something proactive.